WantDBest.com A multi-category no-spyware directory, listing over 7,000 free resources. A lot of work went into this site and it shows. If you're looking for free, quality web resources, this is a good place to start. 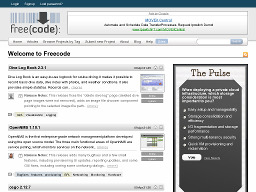 FreeCode A programming source code treasure trove. If its written in C/C++, Java, Perl, or Visual Basic, you can find it here. Free for personal and commercial use and compatible with Unix and/or Windows systems. 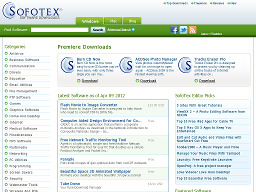 SofoTex.com One of the most popular freeware/shareware directories. This site has it all, including XML/RSS feeds for webmasters interested in adding site content. FileRatings.com A popular download site that lists the 50 most popular programs & games by category on the web. A time-saver if you're just looking for the best. FreebieList There are a number of excellent Freebie sites on the Web but FreebieList lacks the aggravating pop-ups so common to many free sites these days. Webmaster freebies include links to free fonts, clipart, web space providers, email services and more. 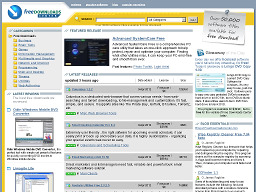 NewFreeware.com A highly rated multi-platform shareware and freeware software directory. Thousands of apps to choose from with the usual features such as Top 10 downloads, new releases, etc. 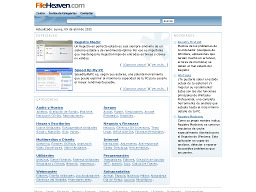 FileHeaven.com A nice shareware directory with 8 major categories of software. Has the usual most popular, editor's choice and recommended offerings. FindMySoft.com A popular shareware/ freeware directory that provides Windows & Mac apps as well as scripts, Mobile/PDA apps and drivers. Nice layout and easy navigation. 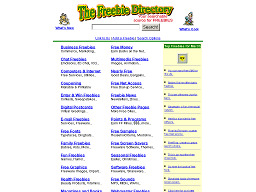 The Freebie Directory A searchable directory of free stuff and one of the best free sites on the Web with great freebies broken down into 26 easy to navigate categories. FileForum.com A nicely organized shareware /freeware directory that also offers user reviews and the latest software news. Some software for Unix and FreeBSD as well. 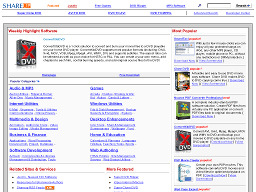 Shareup.com A nice shareware /fr'eeware directory with thousands of files listed in 10 major categories. The majority of apps are rated for quick browsing. Qweas.com A shareware / freeware directory with an extensive index of apps for the Windows, Mac, Linux and mobile operating platforms. Over 10 major categories and hundreds of sub-categories for each. SoftwareVault.com Another software resource site offering thousands of shareware and freeware apps. Numerous categories, detailed descriptions, screen shots, reviews and more. 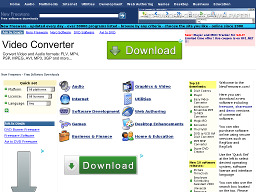 FreeDownloadsCenter One of the most popular software archives on the net. The site has over 20,000 freeware and shareware programs available for download. Reviews provided for select apps.